Graenavatn Lake near Reykjavik (on Reykjanes Peninsula), Iceland. It formed in a crater left by an explosion of overheated ground water over 6,000 years ago. 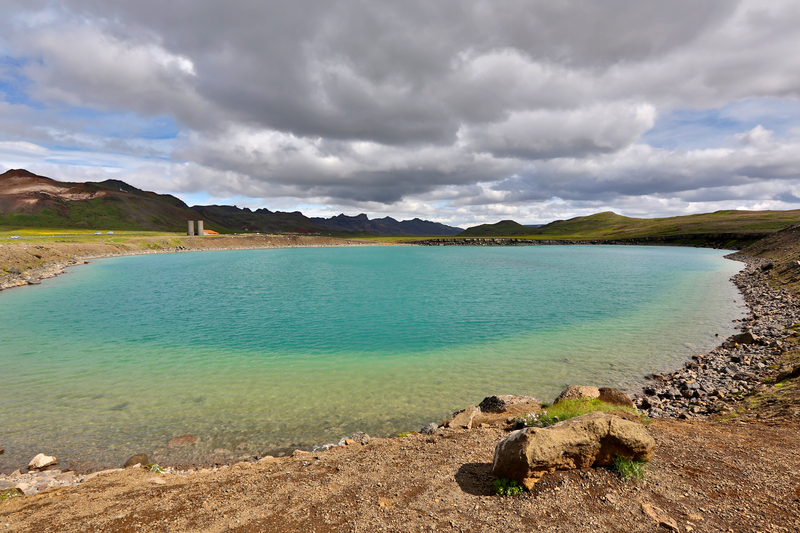 Its beautiful colors of green and blue are the result of minerals and warmth-loving algae in the water.